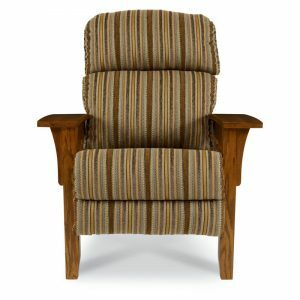 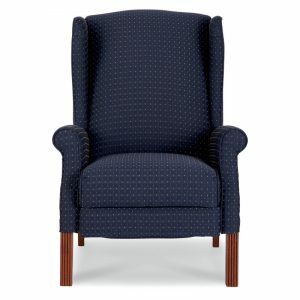 Jennings High Leg Recliner. 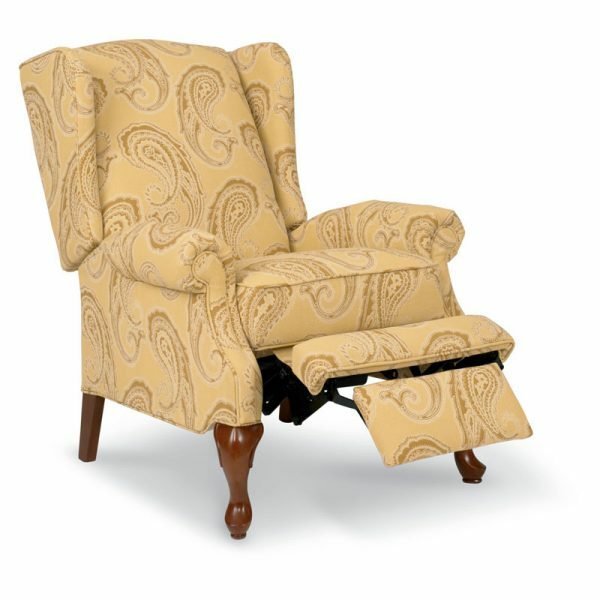 Get ready for comfort… and lots of compliments with our Jennings high leg recliner. Classic Queen Anne styling combined with body-soothing reclining comfort, the Jennings lets you take a high style approach to reclining. 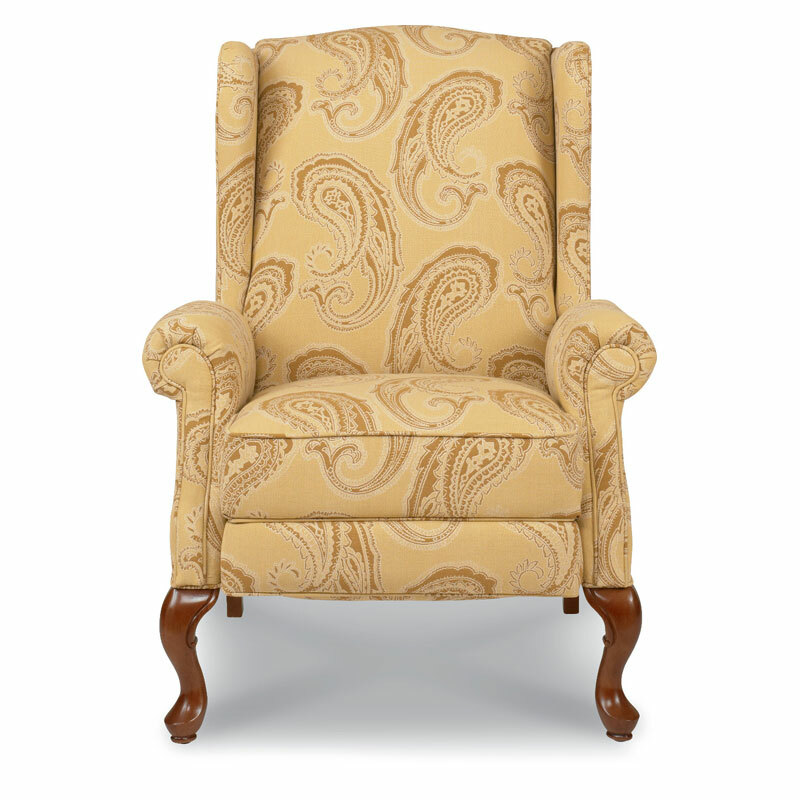 Featuring a tall wing back, flared roll arms, box seat and warmly finished cabriole legs. 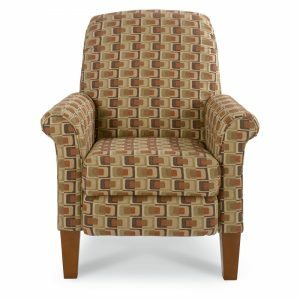 Available in a variety of custom fabrics.